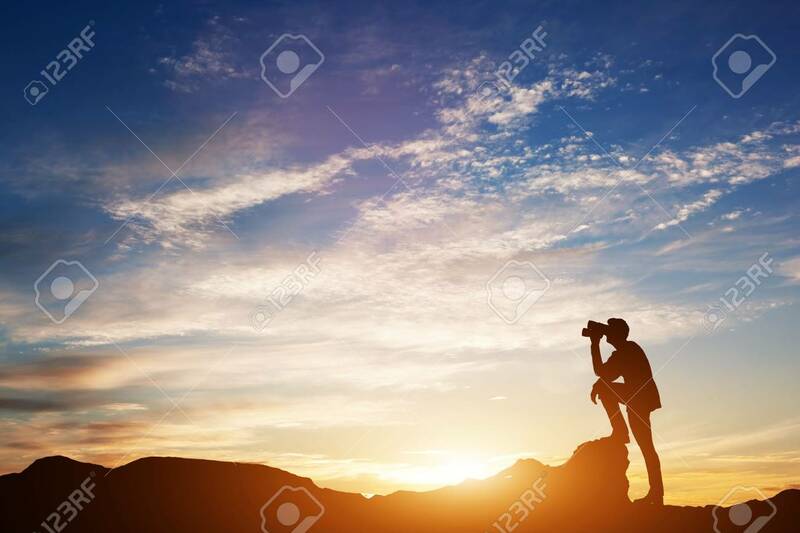 Man Standing On Rocks, Looking Through Binoculars. Looking Forward.. Stock Photo, Picture And Royalty Free Image. Image 87892927. Illustration - Man standing on rocks, looking through binoculars. Looking forward into the future. Sunset scenic sky. 3d illustration. Man standing on rocks, looking through binoculars. Looking forward into the future. Sunset scenic sky. 3d illustration.